A healthy chemical-free means of growing food. Living Earth Veggie Mix is an organic certified, 100% weed-free blend ideal for use in all urban community and school gardens and home garden beds. Apply directly on top of existing soil or into raised vegetable beds. Directly plant into Organic Veggie Mix. For best results, regular applications of Living Earth Organic Certified Liquid Compost are recommended. When handling larger volumes of Organic Veggie Mix, ensure stockpiles are covered to give protection against weather conditions and wind blown weed seeds. Do not drive over stockpiles (no matter how tempting it may be) - this will compact the mix. Do not mix with soil - this will destroy the weed-free properties! Apply 150-300mm over existing soil or fill large planting boxes or raised gardens. 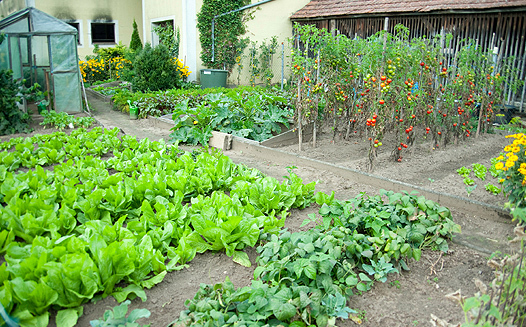 Plant vegetables as you would into ordinary garden mix or garden soil.